When Jord and I finally decided on Hawaii for our (very) delayed honeymoon, we really only considered Maui. We heard too many amazing things about the island and everyone we spoke to couldn’t recommend it enough. We debated island hopping but instead decided to fly out to LA for a couple days before since J has never been and I escape there any chance I get. It was a great way to break up the long flight too since you can’t flight direct from NYC to Maui anyways. There are definitely a ton of amazing hotels and resorts on the island of Maui and we wanted to experience as much as possible. We decided to do half of our stay at Andaz Maui and the other half at the Fairmont Kea Lani. Both resorts are on the south shore of the island, located in Wailea. Wailea is only about a half hour from the airport and is one of the drier areas of the island with less rain (so they say!). 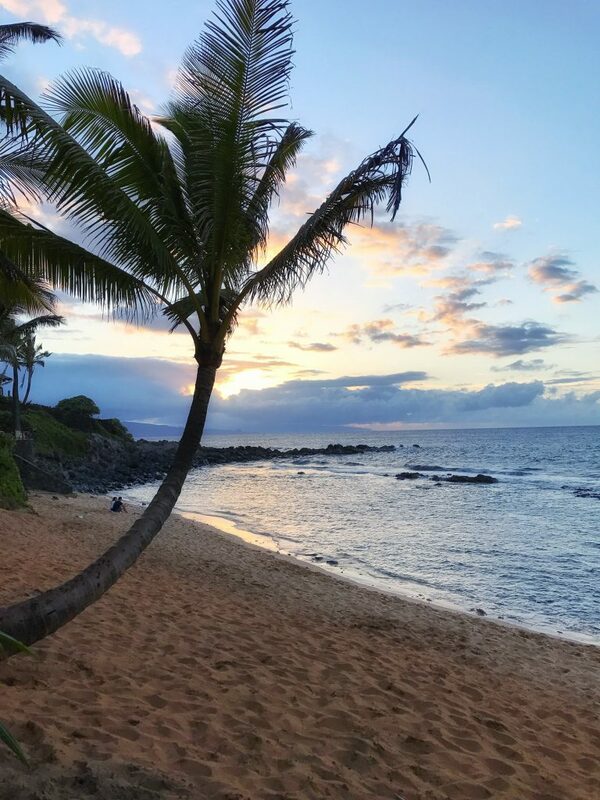 First I am going to walk you through some of my general travel tips for Maui with some must see’s and eats during your time there. Then we can chat more about Andaz Maui, Fairmont and Road to Hana. Renting a car was the smartest thing we did. Yes, there are cabs you can call and they even have Uber but we left the resort at least once per day. Whether it was to go to dinner, explore the island, pick up a food, etc. It was worth the couple hundred dollars to have it whenever we needed. Jord went with a convertible and I laughed hysterically when he told me (I wanted a Jeep) but it was the best to have this for Road to Hana and island exploring. 2) Eat acai bowls daily.. I am not ashamed to say that I ate an acai bowl every single day for 7 days straight when in Maui. I love making my smoothie bowls at home and Maui has the best organic produce so why not take advantage? The resorts have acai bowls too but we mostly went off property to get some. They are cheaper throughout the island and I found the options were actually better. My favorite spots were Wow Wow Hawaiian Lemonade and Paia Bowls. They were both super accommodating for my particular acai bowl requests and even let me give them protein powder packets I brought and they blended it in for me. I always added gluten-free granola, coconut flakes, cacao nibs and bee pollen on top. For the base I enjoyed the blend of acai, banana, nut milk, kale, almond butter, protein powder and almond milk. Adding the healthy fats and protein was key for me to stay full and satisfied for a bit. Acari bowls usually come with more fruit on top but after working so hard to stabilize my blood sugar levels a few months ago, I opted for other toppings. This was my favorite breakfast or lunch because the last thing you want to do is eat hot food when you are sweating all day! 3) Indulge in the best locally sourced food..
Mama’s Fish House: after hearing how amazing this place was we absolutely had to try it and I am happy we did. Warning it is definitely on the pricier side (about $50+ an entree) but the service and food were amazing. They have complimentary valet parking too. It is run very well and the restaurant was packed. I recommend making a reservation in advance around sunset time (6:30ish). Ka’ana Kitchen: this is the main restaurant located inside Andaz Maui. It is a very trendy and innovative menu with options for everyone. It highlights many local spots and sources a ton of the menu from places in Maui and the menu was delicious. We had the grilled octopus, ahi tuna steak, lamb and spaghetti squash, sesame noodles and the fried chicken. All were absolutely amazing and had very unique flavors. They also offer a customized tasting menu for couples with wine and cocktail pairings too for adventurous eaters (aka not me). Morimoto: this is also located in Andaz Maui. It has a great view of the beach and sunset and the sushi was so fresh and delicious. We ate here the day we did Road to Hana because the last thing we wanted to do was get back into the car and drive to dinner somewhere. It is a bit pricey (like most quality sushi places) but the food was so fresh and well worth it. Nick’s Fishmarket: this restaurant is located in the Fairmont Kea Lani and was so delicious. We actually enjoyed our meal here more than Mama’s Fish House and the view of the sunset was AMAZING! Go around 6:45 so you can see it too! Kō Restaurant: also located in the Fairmont Kea Lani, this was our favorite meal during our entire trip. It was so so delicious, I cannot recommend this place enough! The service was extraordinary and the menu was so fresh and the perfect combination of being innovative but not over the top. We had the kobe beef poke (I was obsessed), the ahi tuna appetizer (you grill it yourself on a hot rock), chicken fried rice, lamb chops and a tuna steak dish. I left saying how I wish we ate there earlier in the week so I could have went back. It was incredible. I will be dreaming of that beef poke until we go back to Maui..
Ama Bar & Grill: the third restaurant in the Fairmont Kea Lani that serves both lunch and dinner. We ate here on our last night since we wanted something easy and convenient. We both had the Maui beef burger and it was one of the best burgers of my life. Maui beef is grass-fed, hormone free and absolutely delicious. Their lunch menu was also fantastic. Coconut Fish Cafe: such a great spot located in Wailea and next to Wow Wow Lemonade. They are known for their fish tacos (even gluten-free) and it was a great local spot. It was packed during lunch time too, so you know it is good. You can even eat outside and get both tacos and acai bowls like we did one day. 4 ) Explore the island.. In addition to Road to Hana, we also drove around the island just stopping from place to place to see all parts of Maui. There are some distilleries, wineries and even a lavender farm to check out. We went to the lavender farm after lunch one day that was half way up the volcano. It was a great afternoon adventure but if lavender isn’t your thing, it’s okay to skip this. For the first three nights in Maui we stayed at Andaz Maui. I heard nothing but amazing things about the resort and everything we heard absolutely lived up to our expectations and beyond. As soon as you enter the hotel you can feel how trendy it is. It has a unique entrance with wooden pillars and little ponds with flowers like lily’s and such. We checked in after 9pm and the gentleman working at the desk was full of energy and was so welcoming. He walked us through the resort highlights and even stepped away from the desk to show us around a bit. It was so sweet and his attentiveness didn’t go unnoticed. You could feel the intimate boutique-ish vibe that the hotel gives off. 1) You receive reusable water bottles.. When you check in, you are handed reusable water bottles to use throughout your stay. There are a handful of places to refill by the pool and on every other floor. The resort also provides a carafe of water for your room that is refilled each night wth fresh glasses. Considering I drink like a fish, this was much appreciated. And I used the reusable water bottle all week! 2) The rooms have such a unique feel to them.. The hotel room itself that we stayed in was quite unique as I imagine all the rooms are. The lay out definitely stands out compared to your traditional hotel. The rooms even had control panel next to the bed where you can turn on and off the lights and even press a button for the black out shades to go down. And they have all organic bath soaps so don’t worry about packing a ton of shampoo and soap like I did. It is all non-toxic and I wasn’t allergic to it. 3) Very attentive staff at the resort.. The staff at Andaz Maui was nothing short of attentive. When we called the valet at 6:30am before Road to Hana, they asked if we needed beach towels for the car. Something neither Jord nor I even considered bringing with us. They also were very helpful at the pool trying to find available chairs for you so you don’t have to awkwardly walk around trying to find a spot. And they also set up the towels for you too with these cool chair covers so the towels don’t just fall down every two seconds when you are laying there. And they handed out free mochi ice cream one day during the afternoon to guests, it was delicious. Everyone working there had a smile on their face and was so kind. 4) The breakfast buffet is a must.. 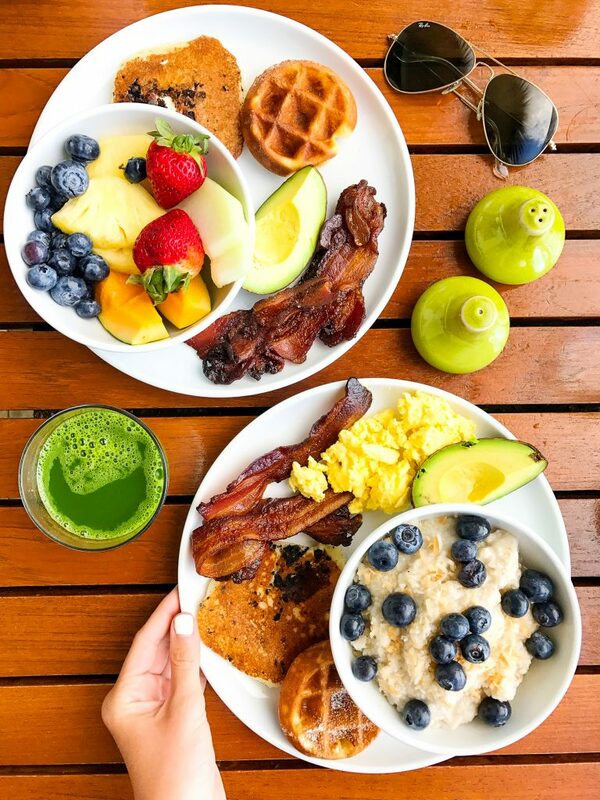 Your jaw may drop when you see this but the breakfast buffet is $47, crazy I know. But in all honesty it was AMAZING. They have a fresh juice bar, such a delicious fruit selection, crispy waffles, omelettes, etc. The food was quality there and it is located in Ka’ana Kitchen. I recommend splurging and getting the buffet a couple of times at least. They also have an al a carte menu you can order from for breakfast. We ventured off for acai bowls for lunch most days so didn’t get to eat any lunches at Andaz Maui. Overall we were extremely impressed with Andaz Maui. Most of the other guests at the resort were either on their baby moon or honey moon and we met a few other couples that we were socialized with a bit. I would 100% recommend this resort for anyone traveling to Maui. Great proximity to the beach, walking path and there was not one complaint our whole stay. 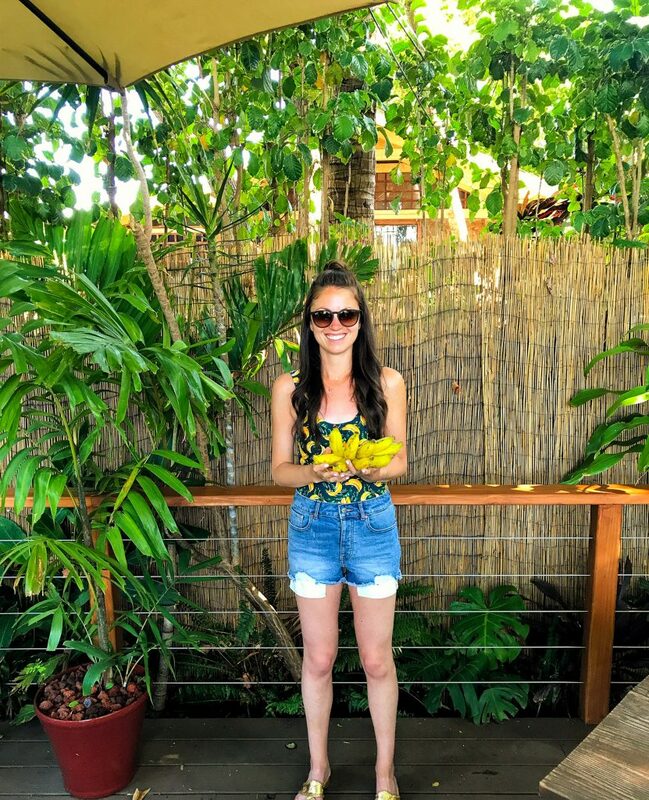 Head over to Part Two of my Travel Guide to Maui for info on Road to Hana + Fairmont Kea Lani. WOW WOW was one of my favorite finds on my honeymoon. I tell everyone to go there. I wish we stayed closer so I could have gone there everyday. It looks like you found such a good place to stay, and i love your tip about locally sourced food. I want to do more of that this year in Colorado. My mom and dad have been to Maui multiple times, and it’s definitely their favorite. This sounds like the perfect, well-deserved, trip! I don’t blame you for having an acai bowl every day. I’ve heard the fruit in Hawaii is incredible. I can only image how fresh all the seafood must have been!